Red Bull Energy Drink is available in 171 countries, including every state of the European Union, because health authorities across the world have concluded that Red Bull Energy Drink is safe to consume. More than 6.7 billion cans were consumed last year and about 75 billion cans since Red Bull was created more than 31 years ago. 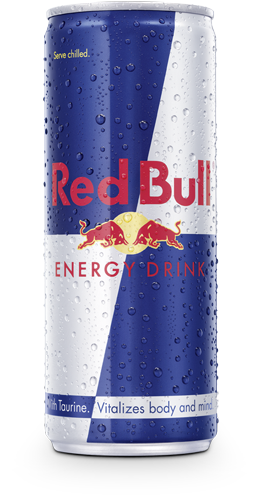 One 250 ml can of Red Bull Energy Drink contains 80 mg* of caffeine, about the same amount of caffeine as in a cup of coffee. The European Food Safety Authority (EFSA) concluded in 2009 that the ingredients of energy drinks are of no concern. In 2015, the EFSA confirmed the safety of energy drinks and their ingredients. * Due to regulatory changes, stock manufactured after 1 July 2017 will have 75mg caffeine. Please refer to the label on each can.